(Manzanita, Oregon) – This part of the north Oregon coast is covered in misty mystery and stunning scenery, and in a way not typical of other areas of the region. 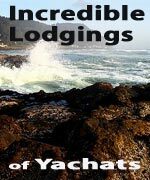 The vacation rentals in the Manzanita and Nehalem Bay area reflect that, with a vibrant sense of the beachy and retro, as well as the stunningly upscale, all cloistered in this magnificent and dense rainforest. Here is just a sampling. 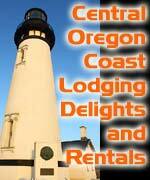 Beach Break Vacation Rentals, LLC is all over the area, including along the Nehalem River. 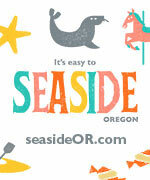 It's not only beachfront and oceanfront vacation homes available here. 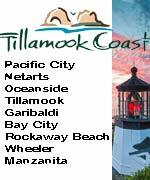 The vacation rental firm also has numerous houses at Falcon Cove, Manzanita's Neahkanie Mountain, Rockaway Beach, and as far south as Cape Meares, near Oceanside. Some pet friendly. 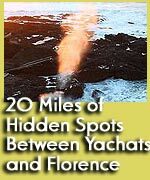 Sunset Vacation Rentals has over 100 vacation homes all around this part of the north Oregon coast, including Mananita, the fancy Neah-Kah-Nie development, Rockaway Beach, Nedonna Beach and the secretive Falcon Cove. Quite a few are pet friendly, all are very kid friendly and they come with a huge list of amenities, which vary depending on the home. They have bungalows for an intimate getaway to larger homes with cathedral ceilings; beach funk to cutting edge design. 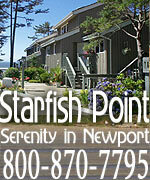 Many are on the oceanfront in Manzanita, and numerous rentals have expansive views from high vantage points. Some of the really interesting finds include: knotty pine walls, a bunkhouse for kids, an executive office, homes close to the golf course or state park, vintage appliances, perhaps a stone slab fireplace, garden, DSL, a soaker tub, rock fireplace, woodstove, wet bar, wrap around decks, yards or views of a wilderness area. 186 Laneda Ave., Manzanita, Oregon. 503-368-7969. 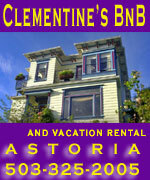 800-883-7784. www.ssvr.com. 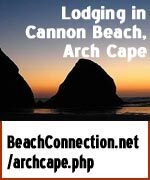 Oregon Beach Vacations has offices in Lincoln City and Cannon Beach, but they have vacation rentals all over the Oregon coast, including the Rockaway Beach and Manzanita area. Many in their Rockaway Beach/Manzanita roster have hot tubs and allow pets. Some stand on secretive, expansive bluffs in exclusive developments; some are condos or sophisticated homes practically on the beach. Amenities are extensive and numerous, with quite an array of luxury homes. Full kitchens, laundry facilities, oceanfront, ocean view, garden view and homes that are studios to elaborate mansions with eight bedrooms are part of their massive catalog.1-800-723-2383. 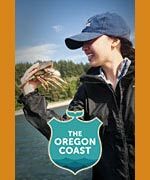 www.oregonbeachvacations.com. 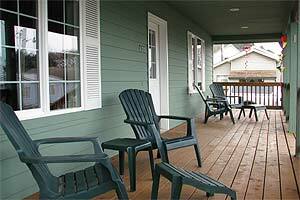 Around the bend, in the bayside town of Wheeler, Wheeler on the Bay Lodging hosts not just a very lovely motel on the water but some larger rooms that can be used as vacation rentals – all right against stunning, pristine Nehalem Bay. At least one upstairs suite that has incredible bay views. These can be utilized as longer term vacation rentals; extended stays for the artist, musician or writer looking for a cozy hideaway, or just anyone wanting to kick it on the coast for a bit longer than usual.